Chennai North Parliamentary constituency comprises six assembly constituencies: Royapuram, Kolathur, Thiruvottiyur, Perambur, Thiru. Vi. Ka. Nagar, Dr. Radhakrishnan Nagar. 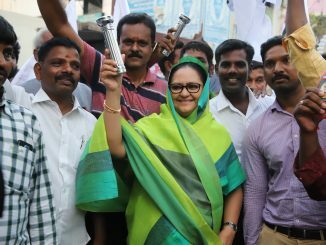 North Chennai has long faced neglect from the political establishment in the state as well as the centre, with development in terms of infrastructure and basic amenities found wanting in the predominantly working class areas that comprise the constituency. A total of 23 candidates are contesting from various political parties and as independents from Chennai North. The Election Commission of India (ECI) has rejected 32 applications for the constituency for various reasons. According to the ECI website, the constituency has a total of 1487461 voters: 728679 male,758326 female and 456 third gender. Dr Kalanidhi Veerasamy of the DMK is the candidate put up by the United Secular Progressive Alliance. 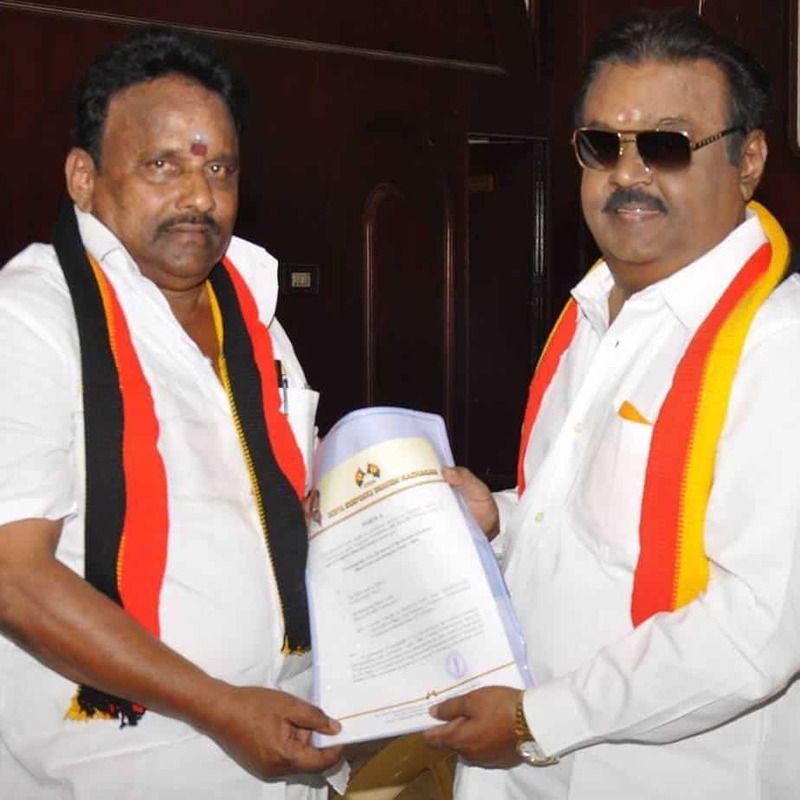 He is the son of veteran DMK leader and former state minister Arcot Veerasamy. He graduated from Stanley Medical College. A doctor by profession, this will be Kalanidhi’s political debut. More details can be found here in the affidavit filed with the Election Commission. 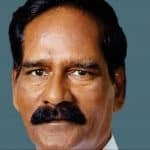 R Mohanraj, the candidate fielded by the ADMK-led alliance, has served as the MLA from Salem North Constituency in 2011. The 62 year old is a farmer and also engaged in the real estate business. 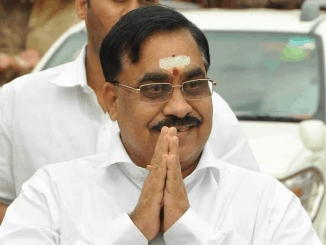 Retired IPS official A G Mourya makes his entry into electoral politics as the candidate from Makkal Needhi Maiam. He has served as the Deputy Inspector General of Prisons during his tenure among other roles. He holds a Masters Degree in Zoology from Madras Christian College. 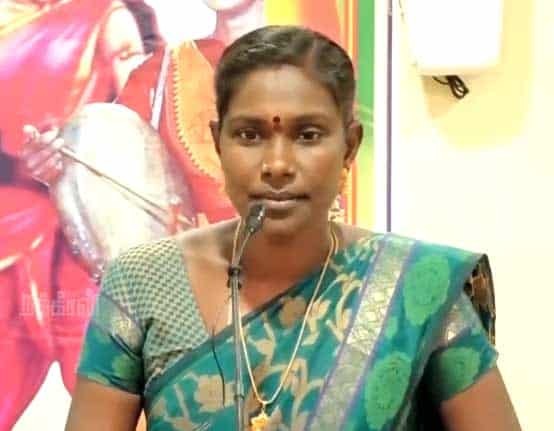 P Kaliammal of Naam Tamilar Katchi makes her debut with the ticket in the Chennai North constituency. 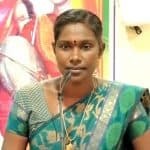 Naam Tamilar Katchi is the only party to field 50% women candidates in the upcoming elections. She is a fisherwoman by profession. For residents of Kodungaiyur, the dumpyard is a major source of discontent. A part of the city’s waste is dumped in the area. The accumulation of waste over the years has caused severe issues with health among the residents. The waste and leachate have also contaminated the groundwater in the region. “We have been fighting to stop the dumping of waste in the area for many years. Why should we bear the brunt of the city’s waste and suffer? 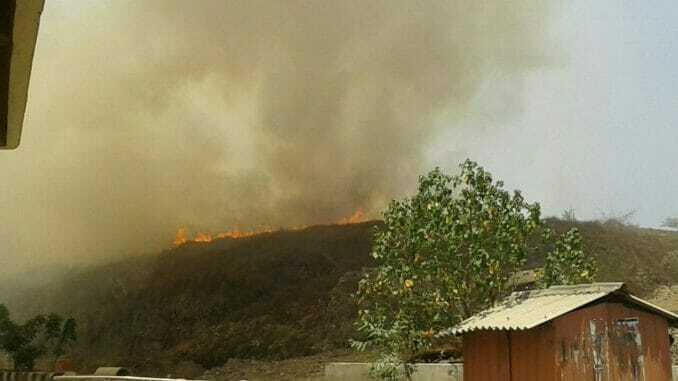 Our children are unable to breathe and the yard catches fire in the summers. We want someone who will take this up at the highest levels on our behalf”, says Seethammal R of Ezhil Nagar. Water scarcity is another serious issue that plagues the constituency. Even as the city grapples with the water crisis, the situation in North Chennai is more dire than in other parts. The people are heavily dependent on the tanker lorries and pay exorbitant amounts to procure water. Continuous piped water supply is a long overdue demand from the residents of the constituency. Several projects to improve connectivity has been on the list of pending demands by residents. Even as the residents are glad for metro rail connectivity, road infrastructure and traffic congestion remain key issues. The residents want the expedition of the Outer Ring Road Project and Ennore- Manali Road Improvement Project. The residents and truckers also protest the presence of four toll plazas in as part of the project that charge motorists between Rs 35 and Rs 200 depending on the category the vehicle belongs to. Upgrades in facilities at the Kasimedu harbour is another demand from the many residents engaged in fishing for livelihood. The fisherfolk would like protection from arbitrary eviction and better facilities at the fish market including cold-storage. Jobs are also on the minds of residents in North Chennai. “All the IT companies and manufacturing industries are in the south. We only have polluting industries in the region. 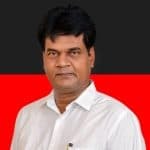 The youth here would also like white-collar jobs and we would like to have those who can provide that come to power”, says Karthik Rajesh of Royapuram. 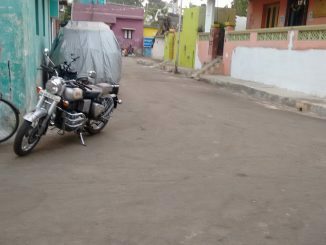 Aarti Madhusudan recounts what she saw and learnt about waste management initiatives, as she spent a day in this North Chennai Zone.